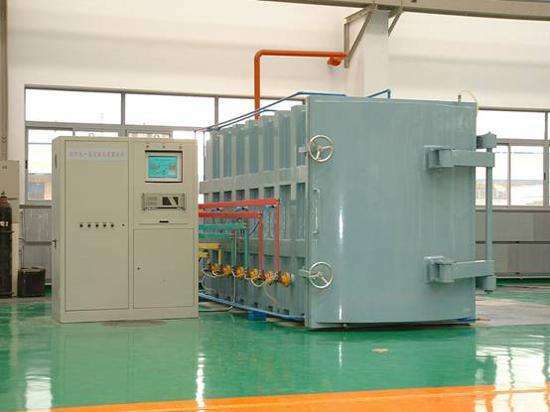 SIMUWU Vacuum Annealing Furnace for CRGO wound cores of transformer is the ideal device for annealing of electrical industry magnetic materials, non-ferrous metals, etc. It’s used for vacuum gas protection annealing heat treatment of iron core, toroidal core and inductor core, it’s especially suitable for CRGO wound cores. This furnace can fully meet the annealing process curve, to make wound core without oxidation, eliminate stress and decrease iron loss. Currently it’s perfect equipment for producing wound cores in transformer industry. It is composed of vacuum heating furnace, loading rack, oil-water separator, vacuum system, cooling system, electric control system, etc. 4. No pollution, good environmental benefits.